Cameron Smith's shock announcement that he is retiring from representative action has made the headlines going into round 11, but there is plenty of on-field action to talk about following an eventful week. The Dragons cement their reputation as title favourites, as the Sea Eagles' miserable season continues. Elsewhere, a resurgent Cowboys face off against the early season surprise package the Tigers, while the Roosters seek revenge for a Round 4 defeat to the Warriors. Can the Cowboys turnaround their woeful form? Will the Warriors recapture their early season form, and are the Storm capable of delivering another devastating display against one of the pretenders to their throne this week? The ANZAC round sees the Storm take on the Warriors, while the Dragons attempt to get back on track against the Roosters. The Tigers’ outstanding 2018 campaign continued with a fine victory over the Sea Eagles. Meanwhile the Panthers keep up their impressive form, slipping into second place at the expense of the Warriors who suffered their first loss of the campaign at the hands of the Broncos. Last year's Grand Finalists are struggling, meanwhile the Dragons and the Warriors go from strength to strength. NSW coach Brad Fittler has indicated that Tom Trbojevic will be making his debut for the Blues in this year's series. Kevin Walters' return to the Broncos lasted just four rounds after the Maroons boss quit to devote more time to his representative role. The Eels and Raiders will be desperate to break their ducks this round, as they see their season disintegrating just a month in. The Green Machine has been written off barely a month into the new campaign, can Ricky Stuart mastermind a significant turnaround? The Melbourne man is favourite to top the scoring charts again in 2018, equalling his feat of 2016 and 2017. The NRL competition continues to surprise as the Eels and Raiders still await a first win heading into the Easter weekend. 2018 could be a career defining year for Daly Cherry-Evans as he takes on extra leadership responsibilities at the Sea Eagles. Paul McGregor has finally assembled a playing group capable of recapturing their first Premiership since 2010. After a sensational opening two rounds, week three throws up some exciting clashes rounded off with a Grand Final rematch at AAMI Park. 2018 looks like it will be the last time we see Billy Slater in a Queensland shirt and he takes his place in the Melbourne Storm line-up this week in a bid to cement his Origin place. Ash Taylor has been tipped to be a future superstar of the game, and the Titans will need him to be on top form if they are to claim a place in the top eight this season. Week one produced some surprising results and the second round promises an equally exciting round of clashes. After a satisfactory 2017, the Panthers will be looking for an improvement this campaign and the partnership of James Maloney and Nathan Cleary could be the foundations for a successful year. The Panthers will be hoping that playmaker Nathan Cleary can replicate his stunning 2017 form in the upcoming season. The new NRL season kicks off with the Dragons hosting the Broncos and the fixture list has thrown up some exciting clashes. Can the Storm go back to back? Your Essential guide to the 2018 NRL Premiership Season. Previews for each team. Winner, Top 8 and Wooden Spoon Predictions. Roosters $4.50 favourites to lead the competition at the halfway stage. An off-season of high profile recruitment has seen the Sydney Roosters backed as favourites for the 2018 Premiership. With two pre-season wins under their belt and injury problems receding, the Rabbitohs appear to be in good shape coming into the new year. With coach Ivan Cleary naming five co-captains for the new season, the Wests Tigers may benefit from the idea of shared responsibility within the roster. The 2017 State of Origin sees a return to the neutral venue format as Melbourne hosts the series opener. The formula will be used for the next three years with Perth and then Adelaide signed up to hold games in 2019 and 2020 respectively. The Leeds Rhinos will be desperate to prove that the Super League can match the NRL's finest when they make the trip to the southern hemisphere to face off against the Melbourne Storm. Canterbury Bulldogs the $7.00 mystery package for 2018? A lack of attacking spark and a chaotic selection policy combined to derail the Bulldogs in 2017. But new coach Dean Pay is already stamping his mark on the squad he inherited from Des Hasler. 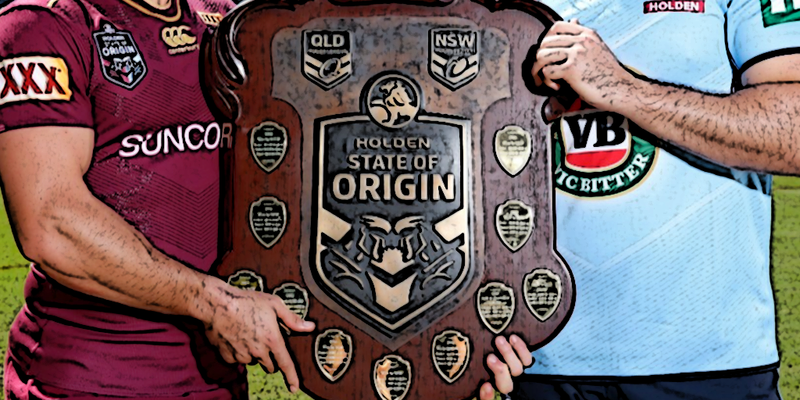 Who will win the 2018 NRL Wooden Spoon? Place your bets now. The Wests Tigers and GC Titans are favourites for to record most losses in the NRL Premiership. The Cronulla Sharks' fall from grace in 2017 has seen the club enter a transitional stage and question marks remain over their ability to challenge the elite. The North Queensland Cowboys are heading into the new season in buoyant mood following their unexpected run to the Grand Final last term. They are bolstered by returning stalwarts Johnathan Thurston and Matt Scott as they eye the main prize for the second time in four years. The Rabbitohs start the season as favourites against the unpredictable Warriors with Greg Inglis expected to make his long-awaited comeback. The NZ Warriors have flattered deceive for the past six years but are determined to put things right in 2018. Despite the off-field problems, Manly Sea Eagles coach Trent Barrett is optimistic about his team's chances of success in the upcoming season. The spotlight will be shining on the Newcastle Knights this year; with most people expecting a significant turnaround following a significant investment in the playing group. The Dragons' recruitment of Ben Hunt has contributed to his new side coming into the opening day encounter as slight favourites against his old club. The Dragons are confident that they have learned their lessons of last year's failure and are determined to bounce back in 2018. The Green Machine endured a miserable campaign last term and they look to bounce back in the upcoming year, with captain Jarrod Croker expected to repeat his point scoring form. The Warriors approach the new season hopeful that they have learned from their mistakes of the recent past. New signings will bolster a roster that is more than capable of sealing a place in the top eight. The Cowboys find themselves second-favourites for the 2018 Premiership, with the promise of the reappearance of Johnathan Thurston no doubt a major factor in punters' confidence. Melbourne Storm will need to absorb the loss of some key personnel from their Premiership winning squad as they look to become the first club to defend their crown in the NRL era. The NRL has sold the Gold Coast Titans to a local consortium headed up by Darryl Kelly and Rebecca Frizelle who were quick to confirm that long-term stability is the priority for the troubled club. NRL Round 1 Footy tipping selections: Expert tips to help you win your footy tipping comps. The acquisition of James Graham and Ben Hunt are expected to boost the Dragons' squad despite the recent departures of Josh Dugan and Joel Thompson. Broncos pencil in historic date in a bid to boost NRL chances. The Brisbane Broncos are embarking on an unprecedented trip to Papua New Guinea for their final warm-up match before the 2018 season commences. Despite accruing some impressive signatures for the upcoming campaign, punters are predicting a miserable year for Ivan Cleary's side. Melbourne Storm coach Craig Bellamy is considering implementing a rotation system of his scrum halves in an attempt to cover the loss of influential figurehead Cooper Cronk. Despite his superb recent outings for his country, Valentine Holmes has designs on a return to his customary fullback position for the upcoming campaign. What next for the Hayne plane? Huge transfer developments in the NRL as Jarryd Hayne walks away from the Gold Coast to team up with Brad Arthur at the Eels.